Synopsis: A gritty, Southern Gothic morality tale, this novel reveals that the high cost of hard living is brutally hard dying. Billy Keyhoe’s luck just ran out: after beating his girl to a bloody pulp and being shot by the clerk at Earl’s 66, he takes off in his daddy’s beat-up ’65 Caddy, leaving all his troubles in the rearview. At a crossroads on the way toward West Texas from Georgia, he picks up Feather, a beautiful hitchhiker who seems to know more about Billy than he knows about himself. The farther they go, the more he is drawn to Feather; but he unfortunately discovers that even true love cannot save him and he may have gone too far to ever make it back. My Review: A hot southern summer day turns into a nightmare for Billy. He has a fight with his girlfriend and decides to rob a store on the way out of town. This is where the plot twists. As Billy heads to the “Big Easy” he comes across Feather who makes him look at his life and his wrongs. Driving Alone lacks depth, as the plot is superficial and relies on clichés of the South. A gas guage that never moves just doesn’t work as a compelling feature. You all know this hard for me to give this rating.....so, I want you know that on Amazon, Driving Alone's average rating is 5 stars. That is pretty big. So, please if Driving Alone sounds interesting to you, I would encourage to pick up a copy today and give it a read! It was an extremely fast read (about 102 pages). 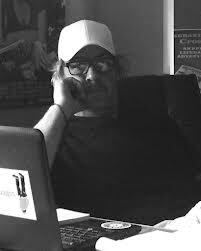 Meet the Author: Kevin Lynn Helmick, the author of such works as The Lost Creek Journal, Clovis Point, Sebastian Cross, Heartland Gothic, and Driving Alone was born in December, 1963, in Fort Madison IA. He now lives in the Chain O Lakes, near Chicago IL. 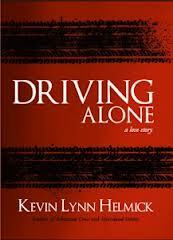 In the spring of 2012 Helmick signs with Blank Slate Press for Driving Alone, a dark modernist novella set in present day deep south. Known for gritty dialogue, accomplished, fast paced prose with complex themes and characters, that challenge the reader with moral subjects of race, prejudice, organized religion and political correctness. His body of work stands as unique, original and as thought provoking as fiction can come. He is currently at work on his fifth novel, a dark western tale of justice, The Rain King. Connect: You can connect with Kevin on his blog, The Write Room Cafe, where he keeps other short stories and commentaries. TLC Book Tours: Please check out the other blogger's reviews. Thanks for your time and review, sorry it wasn't your thing. The Reluctant Wife - Guest Post and Giveaway! Y: A Novel, updated with my Review! Please Welcome a New Reviewer! Release Me Guest Post & Giveaway!